I am very happy and honored to be elected as President of KeyForce TMC this term. Just last month we had the great 10th anniversary Party. I would like to express my appreciation to the founder Ann Sado Honjo and the past officers who made it such a memorable and successful event. I think KeyForce Toastmasters Club is already a well-established and mature club. However, this year, we start the next steps toward the 20th anniversary. So I think we should review our club activities at this turning point. Of course, we should keep the good traditions of KeyForce but at the same time, we would like to introduce new ideas to make the club even more attractive and dynamic. 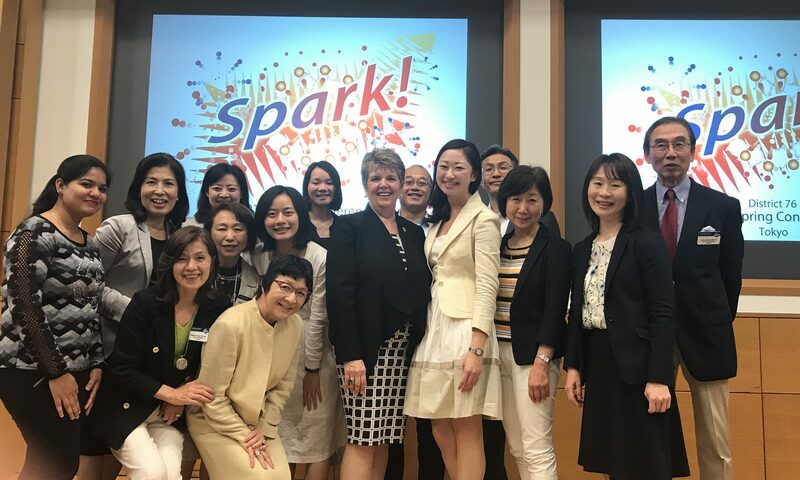 A year ago, the immediate past president Masako Kuroda set a goal to grow our membership. As a result, amazingly, as many as 14 new members joined the club in the last term. It must be a new record for KeyForce! In order to maintain an active and dynamic club, membership building is indispensable. Congratulations, Masako on your great achievement! Welcome new members! Then, what is the goal for this term? During my presidency, I would like to focus on education in order to hold a quality meeting every time. More specifically, I would like to ensure enough number of prepared speeches well in advance. If we have only a few prepared speakers and there is no voting, it might be a little bit disappointing for some and we will lose our competitive atmosphere. So I would like to encourage every member to sign up for your speeches voluntarily at least two or three months in advance. Making a speech is not an assignment. It is up to you to plan when you will prepare and perform. This term, we are going to circulate speech signup sheet. Let’s signup well in advance, to plan, prepare and perform! Then I believe KeyForce Toastmasters Club will become more productive and dynamic !